You may be aware that the automobile is undergoing a major transformation. Manufacturers are making their vehicles increasingly high-tech. Voice assistants in cars are thus becoming more and more present. 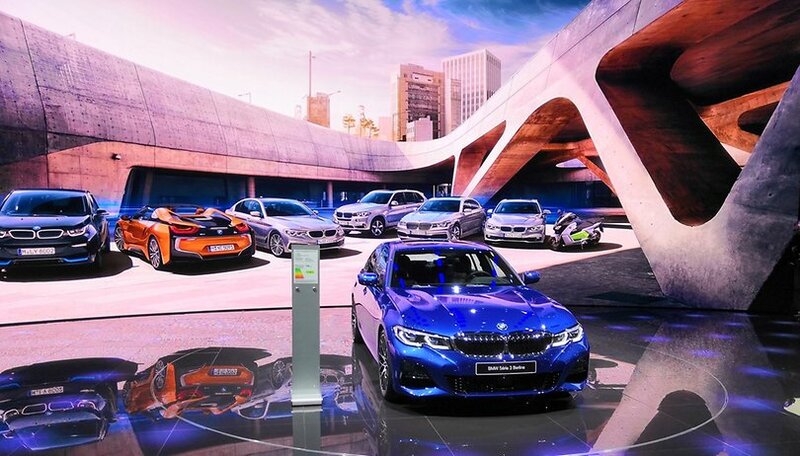 BMW even took advantage of the Paris Motor Show to present its new technology, which will be fitted in the seventh generation of its family sedan, the 3 Series. After smartphones and speakers, it is now the turn of cars to be the new battleground for voice assistants. Google Assistant, Alexa from Amazon and Apple’s Siri are cropping up in vehicles. More and more manufacturers (Ford, BMW, Toyota...) have already started to integrate these assistants into their cars. Some are going even further. This is the case for BMW, which presented its own digital voice assistant called "Intelligent Personal Assistant". The first version, that we were able to test in Paris in the new BMW 3 Series, will be released with the launch of the vehicle next March. In good news for fans of the German brand, this voice assistant will also be available for cars using the manufacturer's new operating system, BMW Operating System 7.0. Like Alexa and Google Assistant, you can activate BMW's voice assistant with the simple phrase "Hey BMW". Of course, it is also possible to customize the activation to "Hey Mona Lisa" or "Patrick", or whatever you like to call your car. For the moment, only a few features are available. The BMW assistant is able to operate and explain the vehicle's functions. It can help you adjust the air conditioning, for example, or guide you to your destination. The assistant uses Machine Learning to become more intelligent and accurate. It stores your orders, questions and remembers your habits such as temperature, radio and seat settings, etc. to form a complete profile called "BMW ID". Several microphones are present in the car and each passenger can communicate with the voice assistant, which will then adapt to your specific needs. It can, for example, activate the heated seat only for the passenger who requested it. The AI will also propose to activate different modes. For example, if you are stressed, it will play relaxing music, activate certain lights in the car and provide you with an appropriate temperature. According to Laura Kanamüller, from Product Marketing at BMW, future versions will be able to automatically learn and adjust parameters using artificial intelligence. Updates will be proposed gradually via OTA to add new features and fix any bugs. As always at the manufacturer, Intelligent Personal Assistant will connect to BMW's Open Mobility Cloud. The first version is available in 23 languages (the Bavarian manufacturer's main markets) and the BMW voice assistant will initially arrive in cars equipped with BMW OS 7.0. The German manufacturer promises that future versions will also be compatible with other leading digital voice assistants. It wants to bring the solutions together by offering a balance between their own voice control, which links them to internal systems such as navigation or the media library, and the other services to which customers are accustomed. Clearly, the objective is to create a platform that allows access from the vehicle to a world of virtual assistants. What do you think about the arrival of voice assistants in cars? Can you see yourself using one on the road?